Rubenerd: #Anime Antec Bakemonogatari PC decorations! 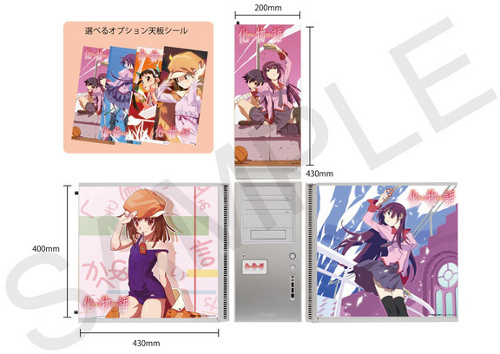 #Anime Antec Bakemonogatari PC decorations! Now this is a fantastic idea, Antec are releasing Bakemonogatari decorative panels for their line of PC cases! I have an Antec A300 case for my FreeBSD file/torrent server, do you think it'd be compatible? I'm sure it'd run faster and more efficiently with a gigantic image of the queen of Tsundere on the side. Not that I'm a sucker for marketing or anything, mind. Newer post ← My shiny new Kindle 4!